So in case you haven’t heard Apple launched their own line of wearable technology today, the creatively named Apple Watch, which will no doubt have diehard Apple fans salivating and already planning their camping trip to the Apple store ahead of the 24 April release date. The wearable technology space has been gaining momentum for a few years now with lots of predictions being thrown around that it will be the next big trend, but no one has really nailed it yet. Based on what I have seen I think Apple will change that. The problem with wearables to date has been that they really provide a limited benefit that most people can live without. The dominant players in the space so far are the fitness wristbands (Fitbit, UP etc) that track your activity and sleep patterns – while this is interesting to begin with for a lot of people the novelty starts to wear off fairly quickly. What the Apple watch provides is another piece of technology that has the potential to really integrate with our lives. Apple historically is not the first mover in to a technology trend (they didn’t create the first digital music player, internet connected mobile phone or tablet) and they aren’t the first smart watch. In fact the Pebble watch was one of the most successful campaigns on crowd funding platform Kickstarter back in 2012, which they have backed up by becoming the highest earning kickstarter project ever with the new Pebble Time (crazy thing is the campaign is still running, you can check it out here https://www.kickstarter.com/projects/597507018/pebble-time-awesome-smartwatch-no-compromises). But when Apple enter a market they go big, and invariably they absolutely nail it and quickly become the market leader. With the Apple Watch they have taken their time to produce a device that looks good and will no doubt provide a seamless and intuitive user experience. The really smart thing is how the Apple Watch integrates with a users iPhone – even little things like being able to use the watch to take a photo on your iPhone really adds to the user experience (and hopefully eliminates the selfie stick market). Other features that really extend the capacity of the iPhone are the health focus (with sensors that track activity and your heart rate) and receiving messages and phone calls via the watch, which will be a big help for all those people that are too busy to take their phone out of their pocket. The other exciting thing is that Apple will be able to leverage its large network of app developers, which so far have created 1.2 Million apps for iPhones and iPads, resulting in 75 Billion apps downloaded. No doubt that once users and developers get their hands on the Apple Watch we will start to see a whole range of innovative apps being released that people couldn’t even imagine today. I have long believed in the opinion that the future of apps will be in integrated experiences – basically apps that integrate with wearables, homes, cars and anything else imaginable. 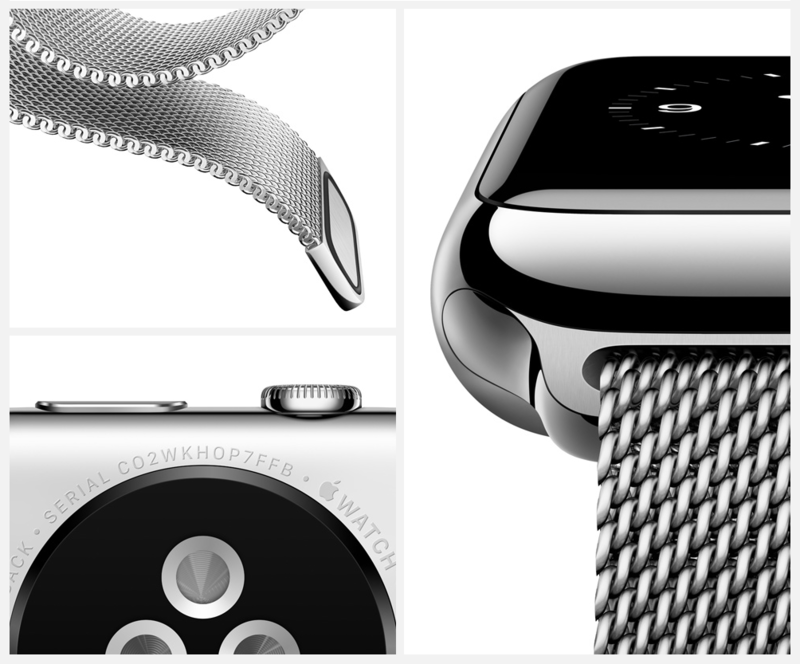 The Apple Watch could be the catalyst to really ignite activity in this space.